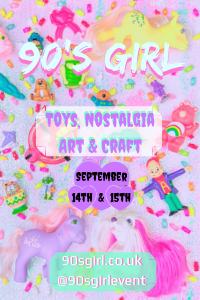 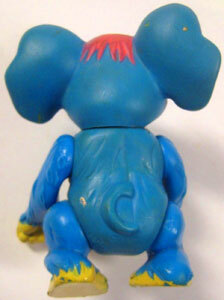 Images on this page thanks to various eBay sellers, including mungocatparty , rbcr17 , andy_man_100 , iammenotu , pamallah , misslacyg , scratch-x & davjosh93 ! 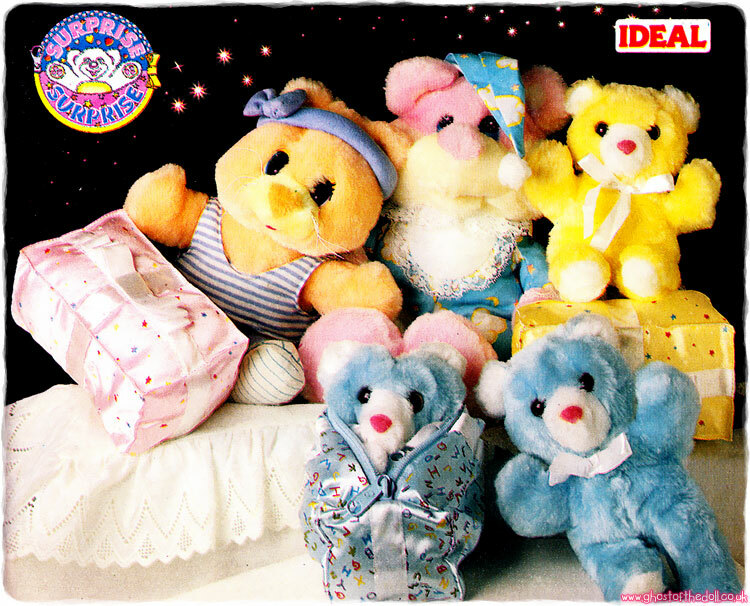 Some images are from old, cached sales pages with no seller names, so if any of these are yours please contact me so I can add thanks! 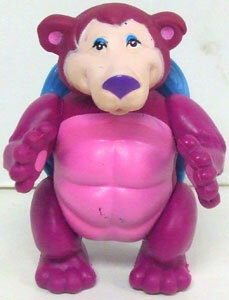 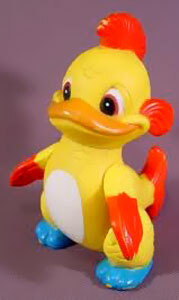 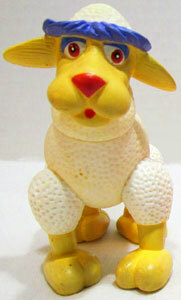 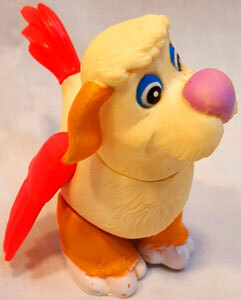 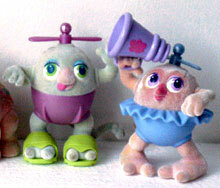 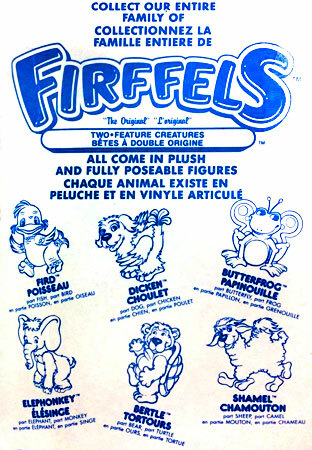 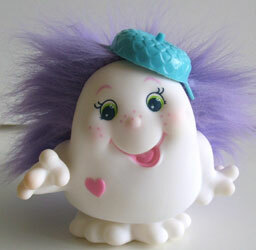 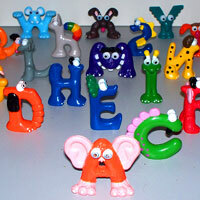 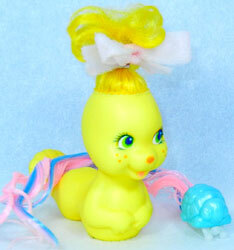 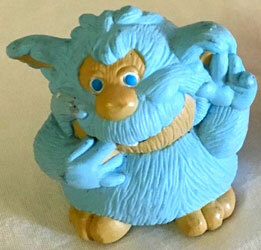 There were six characters produced as plush and poseable toys. 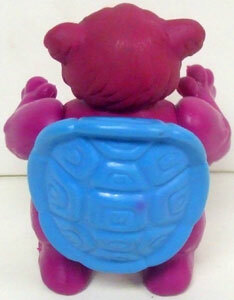 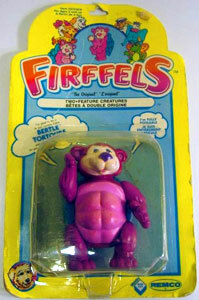 Bertle was part bear, part turle. 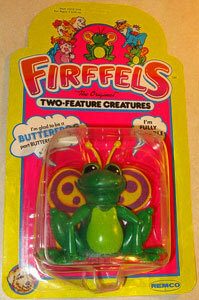 Butterfrog was part frog, part butterfly. 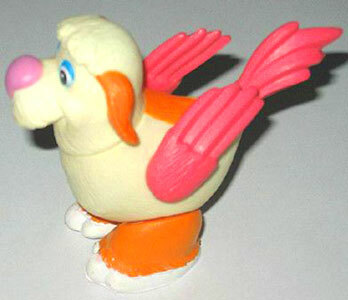 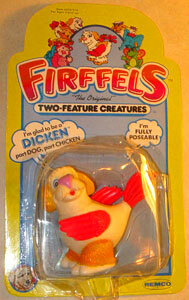 Dicken was part dog, part chicken. 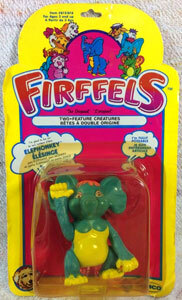 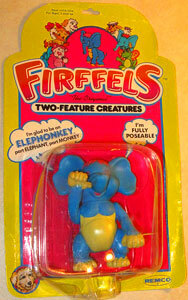 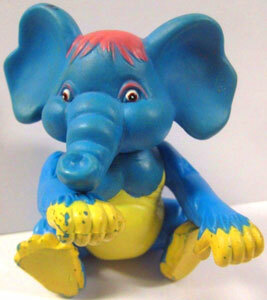 Elephonkey was part elephant, part monkey. 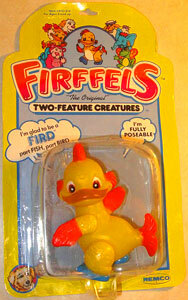 Fird was part bird, part fish. 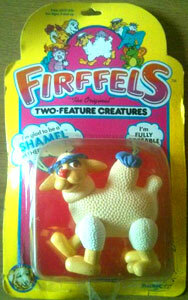 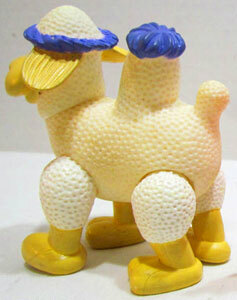 Shamel was part sheep part camel.